Every single incident is now documented and accessible from the same database. 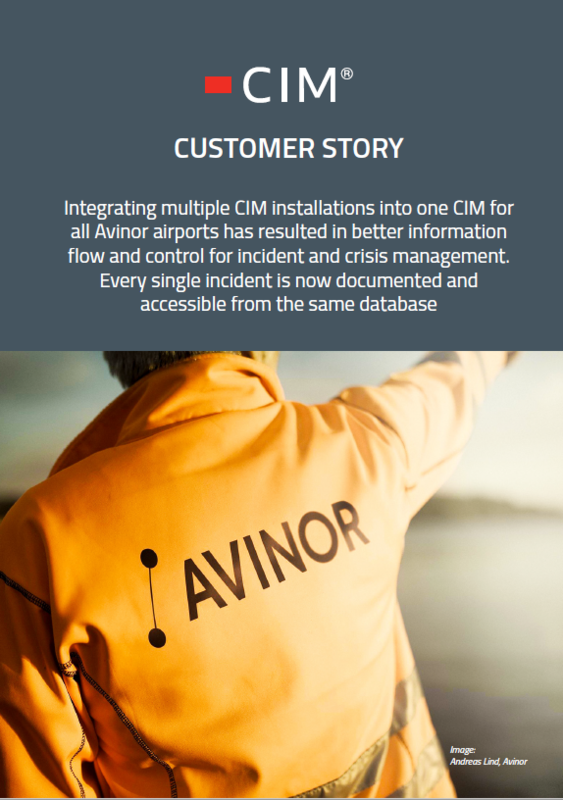 Avinor has merged all its previous CIM installations into one, common CIM for the issues and crisis management of its 45 airports. The Norwegian state-owned aviation company now has a CIM installation with 600 users, ranging from control towers, to airport managers, staff at the operations centre at Oslo airport and tactical and operational crisis staff. The new CIM with its logs and information boards has helped the crisis management team to quickly get an update of the situation, gain control and be able to act much faster than before. Read more about how CIM helped in the case study!